The global air purification systems market is fragmented and features intense competition among players. Jarden Corp., Sharp Corp., Panasonic Corp., Daikin Industries Ltd., Honeywell International Inc., and Philips NV, which are the six leading players, accounted for 45% of the market in 2015, states Transparency Market Research (TMR) in its new report. These leading players are ensuring their strong foothold in the industry by strategically locating their production and logistic assets. These players are also ensuring that they have a diverse product portfolio range so as to continue to reign in the competitive air purification systems market. China air purifiers market is set to expand further due to increasing consumer awareness, rapid urbanization and surging pollution levels in the country. Increasing cases of respiratory diseases caused by various pollutants in the air, spiking emissions from automobiles and emergence of portable air purifiers are expected to boost demand for air purifiers in China over the course of next five years. Moreover, growing demand for air purifiers from commercial sector due to increasing incidences of bacterial infections and other communicable infections is anticipated to thrive China air purifiers market during forecast period. To analyze and forecast market size of China air purifiers, in terms of value and volume. To define, classify and forecast China air purifiers market on the basis of filter types and end users. To evaluate China air purifiers market by segmenting the country into six regions, namely, North China, East China, North-East China, South-Central China, North-West China and South-West China. To analyze and forecast the market share, in terms of value, of air purifiers with respect to type of filters: HEPA + Activated Carbon, HEPA + Activated Carbon + Ion & Ozone, Ion & Ozone, HEPA, Electrostatic Precipitators, Activated Carbon, and Others. To analyze and forecast the market share, in terms of value, of air purifiers in China with respect to end users: Commercial, Residential and Industrial. To examine supply chain and evaluate pricing analysis in China air purifiers market. 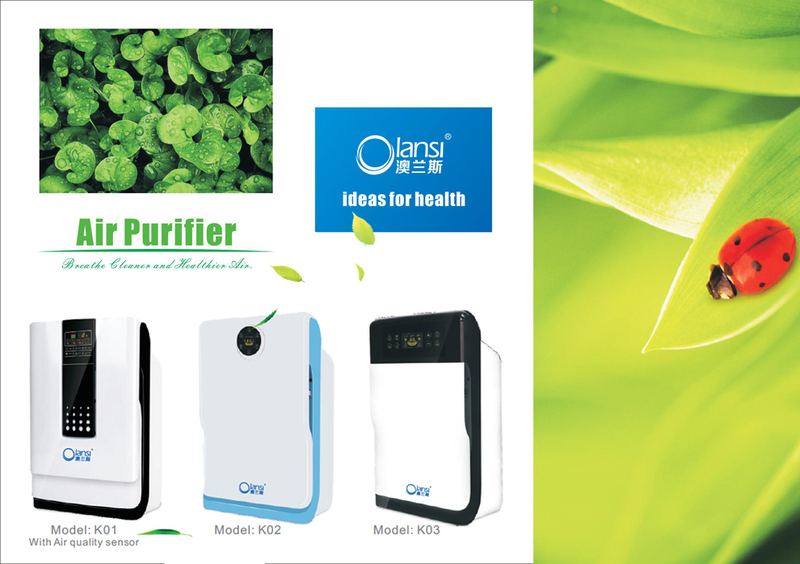 To strategically profile the leading players in the market, which are involved in the supply of air purifiers in China. China air purifiers market is controlled by these major players, namely, Philips (China) Investment Co., Ltd., Panasonic Ecology Systems Company Limited, Beijing Yadu Environmental Protection Technology Co., Ltd., Sharp Electronics (Shanghai) Co. Ltd., Daikin (China) Investment Co., Ltd., LG Electronics (China) Co. Ltd., Honeywell (China) Co. Ltd., Blueair (Shanghai) Sales Co. Ltd., Austin Air China, ADA Electrotech (Xiamen) Co., Ltd., etc. TechSci Research performed both primary as well as exhaustive secondary research for this study. Initially, TechSci Research sourced a list of air purifier manufacturers and suppliers operating in China. Subsequently, TechSci Research conducted primary research surveys with the identified companies. While interviewing, the respondents were also enquired about their competitors. Through this technique, TechSci Research was able to include the manufacturers which could not be identified due to the limitations of secondary research. TechSci Research analyzed the product offerings, end users and regional presence of all major air purifier suppliers operating in the country. TechSci Research calculated the market size of China air purifiers using a bottom-up approach, where manufacturers’ value share data for standard filter types (HEPA + Activated Carbon, HEPA + Activated Carbon + Ion & Ozone, Ion & Ozone, HEPA, Electrostatic Precipitators, Activated Carbon and Others) was recorded and forecast for the future years. TechSci Research sourced these values from industry experts and company representatives and externally validated the same by analyzing historical sales data of respective manufacturers to arrive at the overall market size. Various secondary sources such as secondary source directories, databases such as National Bureau of Statistics of China, CRCC Asia, Organization Internationale des Constructeurs d’Automobiles” (OICA), Company Annual Reports, World Bank, Industry Magazines, Government databases, News Dailies, Credible Paid Databases, Proprietary Database, white papers and investor presentations were also used by TechSci Research. The study is useful in providing answers to several critical questions that are important for the industry stakeholders such as air purifier manufacturers, distributors and dealers, customers and policy makers. The study would also aid stakeholders in identifying which market segments should be targeted over the coming years (next five years) in order to strategize investments and capitalize on the emerging opportunities. Company Profiles: Detailed analysis of the major companies present in China air purifiers market.